Fundraiser to help the FFA Chapter. Events for all ages. $15.00 for motorcycles, $20.00 for vehicals. 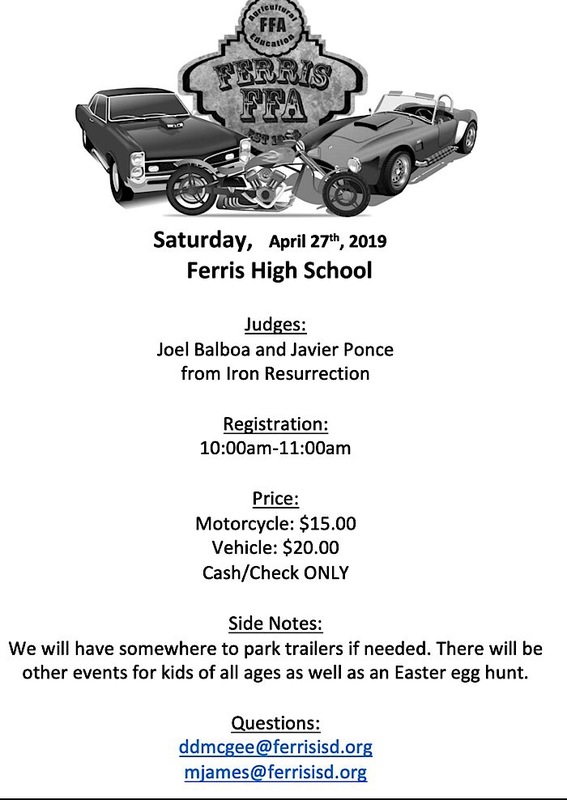 The Ferris FFA Show and Shine will be held at Ferris High School. For more info, please visit our Ferris FFA Agricultural Mechanics page on Facebook.